Research focuses on the methods of communication in cells and how genes regulate cell processes. A key research area is the study of cell signalling pathways, where proteins have been identified that trigger functions both within and between cells. Research into different signalling pathways (e.g. PI3kinase, mTOR, ERK and LPA) and lipidomics represents significant collaborations within the Centre and external partners. Work in epigenomics, in collaboration with other Centre researchers, will have significant impact on our understanding of cancer stem cells, pre-neoplasia and tumour heterogeneity. 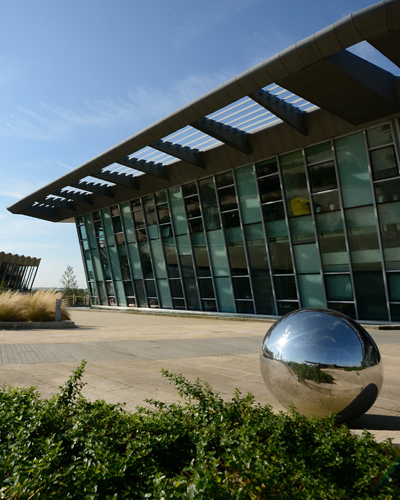 Babraham scientists have been collaborating with AstraZeneca Oncology, and the relocation of AstraZeneca to Cambridge has helped to stimulate future collaborations between scientists at the Cancer Research UK Cambridge Institute, AstraZeneca and the Babraham Institute. 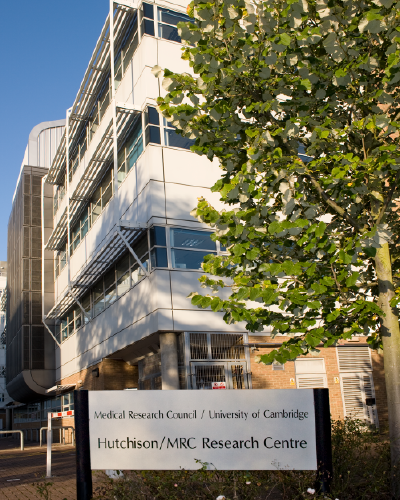 A major theme at the Cancer Research UK Cambridge Institute is genomics and gene regulation. We seek to understand how genetic alterations accumulate and which cell populations are targeted by these alterations. We aim to generate better classifications of cancers, validate prognostic predictive markers and identify novel therapeutic targets. These research efforts are supported by a comprehensive strength in molecular imaging, computational approaches, and bioinformatics. We translate discoveries on the genetic causes of cancer and on the clonal evolution of cancer cells into practical patient benefits in the clinic, especially in breast, lung, ovarian, pancreatic and prostate cancers. We are establishing a ‘translational conveyor belt’, which will allow us to fast-track the application of laboratory bench discoveries to the patient bedside, and to use patient samples in our laboratories for our fundamental research into the cellular and molecular pathogenesis of cancer. 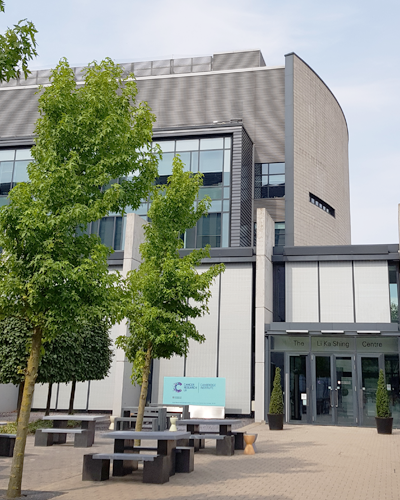 The MRC Cancer Unit focuses on understanding the molecular events underlying the transformation of pre-neoplasia to advanced cancer, and applying this information to cancer diagnosis and therapy through the development of innovative new technologies. The Unit’s research programmes study the clonal organization and fate of tumour-initiating cells in the oesophagus, pancreas and lung; DNA repair and mitotic defects in pre-neoplasia, and their exploitation for cancer therapy; genomic evolution of oesophageal, pancreatic and lung cancers using model organisms and human samples; and the impact of metabolic alterations and stromal/epithelial interactions on early steps in carcinogenesis. A major clinical programme in the Unit has established methods for early detection and marking progression of oesophageal cancer applicable in the clinic. Technology platforms that pioneer new approaches to functional genomics and phenotypic screening, to the discovery of chemical tools that modulate protein-protein interactions, to hyper-dimensional cellular imaging and optogenetics using light microscopy, and to clinical imaging of preneoplasia by endoscopy, facilitate the efficient translation of laboratory research to clinical application. Scientists at the MRC Laboratory of Molecular Biology (LMB) have pioneered many techniques in molecular biology including DNA sequencing, methods for determining the three-dimensional structure of proteins, and the development of monoclonal antibodies. Research is focused on understanding biological processes at a molecular level, including how the genetic code is translated into proteins, how cells are modified for different roles, how nerve cells function and behave, and how biological processes can result in immunity or cancer. Current cancer-related research within the LMB aims to understand the abnormal signal transduction pathways that are de-regulated in cancer and the mechanisms that promote somatic mutations through endogenous DNA damage and mutagenic repair. The ultimate aim is to harness such knowledge to understand better the factors that drive carcinogenesis and to develop new treatments. Specific cancer related programmes are related to haematological malignancies and colorectal cancer. Within the Schools there is a significant focus on how DNA replicates and repairs itself. Researchers are also studying how drug molecules affect and modify the DNA in cells. Some of this work has led to successful spin-out companies, for example in high throughput anti-cancer drug screening. Other key topics include how cells divide, what regulates cell death and how tumours grow without restraint. 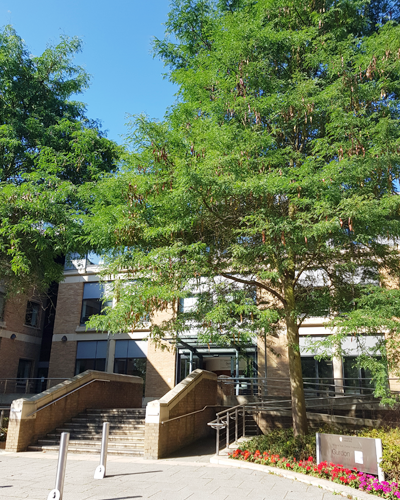 Haematological cancers are the focus of programmes within the Cambridge Stem Cell Institute, the Cambridge Institute of Medical Research and the Departments of Haematology and Pathology. Historic research strengths in haematology include studying normal transcriptional regulation and cellular development in blood stem cells and how these can be aberrantly regulated. These programmes will continue, and diversify into studies of lymphoid malignancy and disordered translational control. 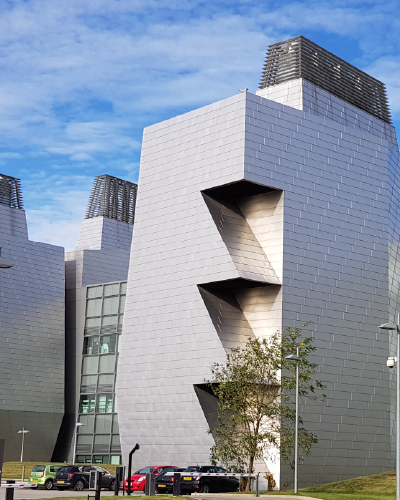 Analysis of the molecular consequences of JAK2 mutations in blood cancers has also provided unexpected insights into fundamental biological mechanisms, including chromatin biology, cytokine signalling and cellular responses to DNA damage, and these will be pursued in collaborations within the Centre. Cancer genetic epidemiology is a major focus within the University Department of Public Health and Primary Care, based in the Strangeways Research Laboratory, a world leader in cancer genome-wide association studies. This expertise in public health and epidemiology is a significant contributor to the developing Centre programmes in early detection of oesophageal, prostate, breast and lung cancers. One research focus within the Institute is on the mechanisms and rules that organise embryonic development. One way to think about cancer is as a breakdown of these key mechanisms as they apply to cells in adult tissues. Researchers are studying which genes are involved in regulating the growth and division of cells, and how these processes are disrupted when cancer develops. Another focus within the Institute is on research that includes the nature of mutagen damage to DNA and its repair, and the proteins and other mechanisms that act on DNA to regulate the expression of genes through time and in different tissues. The research groups working on miRNA, chromatin remodelling and DNA repair have long-standing active collaborations throughout Cambridge. The Institute has several activities in cancer genomics and large-scale cancer biology including cancer genome sequencing and analysis (notably the International Cancer Genome Consortium projects in breast, bone, prostate and myeloid cancers), engineered mouse cancer models, large scale genomics and drug screens of cancer cell lines, single-cell genomics technologies, bioinformatics pipelines, and provision of cancer mutational databases including COSMIC (catalogue of somatic mutations in cancer). There is close collaboration on these with many researchers in the Cambridge area and beyond. 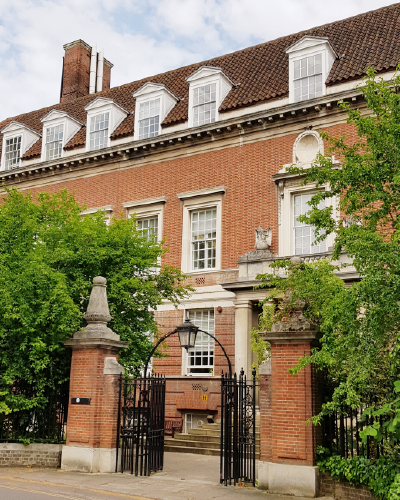 Three senior clinical investigators at the Institute have joint appointments in oncology/haematological oncology at Cambridge with expertise in colorectal cancer and haematological malignancies. Translational collaborations will be expanded in the coming years in the areas of drug discovery and personalised cancer medicine.